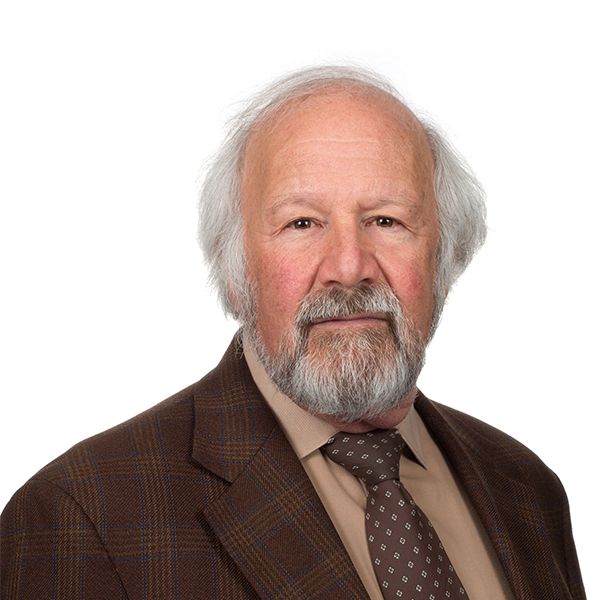 Kenneth S. Apfel is the head of the firm’s Taxation Department and the Trusts, Estates and Wealth Management Department and is also a member of the Corporate and Commercial departments. Kenneth provides clients with expertise in all areas of federal taxation including, but not limited to, income tax planning for individuals, corporations, partnerships, trusts, and limited liability companies; estate and gift tax planning, including the drafting of wills, trusts and other documents relating to comprehensive planning programs; representation of clients before the Internal Revenue Service and the Tax Court in areas of income, estate and gift taxation; drafting and providing advice with respect to qualified retirement plans; and asset protection planning. Kenneth has served as Vice-Chairman and Chairman of the Essex County Probate Committee, written numerous articles which have been published in Taxation For Lawyers, Taxation for Accountants, Journal of Taxation, New Jersey Tax Lawyer, Estate Planning, and he is the author of the chapter on Trusts presently in West’s Legal Business Forms. He has also lectured extensively before various professional groups, such as the New Jersey Society of CPAs, County CPA Societies, and insurance companies. Kenneth is a Certified Public Accountant and has his Masters in Taxation from NYU Graduate School of Law. Kenneth is a member of both the New Jersey and New York Bars. Corporate Law; Closely Held Corporations; Corporate Contracts; Corporate Dissolutions; Corporate Commercial Law; Corporate Finance; Corporate Formation; Corporate Governance; Corporate Income Tax; Corporate Organization; Corporate Partnerships; Corporate Planning; Corporate Reorganization; Corporate Successions; Corporate Tax Controversies; Corporate Tax Planning; Family Corporations; Incorporation; Nonprofit Corporations; Professional Corporations; S Corporations; Small Business Corporations; Federal Estate and Gift Taxation; Federal Income Tax; Federal Tax Controversies; Fiduciary Income Tax; Generation Skipping Tax; Individual Taxation; Inheritance Tax; Like Kind Exchanges; Sales and Use Tax; State Income Tax; Tax Appeals; Tax Audits; Tax Controversies; Tax Evasion; Tax Planning; Trusts and Estates Taxation. Ken is the utmost expert in his field. His experience is unparalleled and his attention to detail is unsurpassed. He absolutely protects his clients. I am very proud to know him and would encourage anyone who needs estate and tax legal advice to use him! Senior Mortgage Banker at MCS Mortgage Bankers, Inc.
Ken Apfel is one of the finest attorneys I have ever worked with. He has provided expert advice on business issues between partners that have provided excellent & promising results. Ken has always been available for legal counsel and follows up until the situation is resolved. Choosing three attributes that best describe Ken’s work is hard because he truly delivers well on all of the choices from Great Results to Creative with in my case, out of the box solutions to what are typically cookie cutter solution problems. You can’t throw out the other attributes Personable,Good value,On Time and High Integrity as he delivers on all of them. Ken has an excellent grasp of the issues surrounding estate planning and has made himself available to my wife and me for follow up questions. He also proactively reached out to his clients this year to discuss the expiration of the estate tax this year. I highly recommend Ken. Ken keeps to the issue, is attentive and to the point. Has a keen business sense that gives him an edge. Has a strong technical skills, and understanding of the circumstances. Explains issues very clearly and is results driven. A good team player. I have trusted Ken with my business and family legal matters for well over a decade. He continues to represent my business today because I value his legal competency and his judgment. There are several attributes about Ken that make his counsel stand out: he understands the finer points about a small business and what drives entrepreneurs, knows how to bring together a team of specialists to solve problems and has the experience necessary to offer sound legal advice with a practical consideration of alternatives. I highly recommend Ken and his firm. I have known Ken for several years and I use him frequently as a source of information. Ken is the “go-to” estate lawyer for our firm for the many tax/estate questions that arise in our matrimonial cases. I also do not hesitate to refer a client who needs his services because Ken is an authority on estate and tax law. He is well respected by the local bar and can solve even the toughest problems for his clients. In the complicated field of tax and estate planning, you need a super lawyer in your corner and that’s why I trust Ken explicitly. I have worked with Kenneth Apfel, Esq. on numerous matters involving complex estate litigation matters and related tax/accounting issues and have the utmost respect for his intelligence, knowledge, practicality and ethical approach to problem solving. Kenneth, was instrumental in helping me rewrite my estate plan. He possesses extensive knowledge, is patient, and willing to explain the more complex concepts. Kenneth makes the process of writing a will and addressing ones estate plans an easy process. I highly recommend Kenneth and his firm. Ken is the consummate tax law professional. He brings his extensive experience and energy to bear on challenges, offering innovative solutions while remaining mindful of budgetary issues. I recommend Ken without reservation. Ken’s work is top notch. He is thoughtful, conscientious, creative and extremely knowledgeable in all tax matters. I have not only involved him on matters that I am working on, I have referred him to friends and family as well. I recommend Ken without hesitation. Ken is very effective in his ability to efficiently analyze and understand a situation, and follow with a suggested course of action. He also possesses significant knowledge on a broad range of topics. Ken is a great resource for my clients. Most businesses do not survive the death of the principle. They may have the wisest insurance program in place, but the benefits may only add to the confusion upon the death of the principle or partner. The clients I have referred to Ken were extremely impressed with his knowledge and skill. Most of my clients actually report sleeping better at night knowing that their directives will help their families and businesses prosper even when they are gone. Ken will keep the IRS and your in-laws out of your pocket. 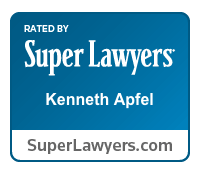 Kenneth is one of the most professional attorneys I have ever had the pleasure of working with. His attention to the needs and requirements of his clients is second to none. Ken’s detailed knowledge in his area of expertise, matched with his business sense and ability to listen to his clients objectives and concerns ;makes him an outstanding adviser . His ability to execute in a timely, effective manner, working individually and /or with others: delivers results with integrity. I have a law and accounting degree. I engaged Ken Apfel to prepare my parents estate plan and could not have been more pleased with his knowledge, demeanor, and responsiveness. I continue to recommend Ken Apfel to my friends and associates every chance I get. Ken assisted my wife and I in creating wills that would pass the maximum amount of our estate to our heirs with a minimum of taxation. His knowledge in that area is impressive. He also created Living Wills for us at the same time. He did an outstanding job for us and we were extremely pleased with his work. Ken performed services for my company many times and I was always very satisfied with the work performed by his law firm.